Stefano has over 13 years of experience in risk management and sustainability for major Italian and international companies. Stefano is a Partner at Arthur D. Little based in our Milan office, in Italy, leading the risk practice. 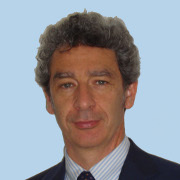 With over 15 years of experience in consulting, Stefano has worked on risk management and sustainability issues for important Italian and international companies, especially in the fields of energy, transportation and manufacturing in Europe, the Middle East, America and Africa. Stefano graduated in Engineering at the Politecnico di Torino and holds a Master at the Erasmus University in Rotterdam.